[H]e strolled over to the flag to take his first corner of the match, hair impeccably coiffed, tan suspiciously even. The crowd called his name, expecting magic from the maestro. 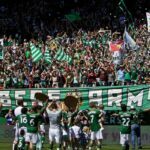 MLS is full of strange contrasts, but the silliest must surely be that between the league’s suavest player and his new home stadium. The World Cup winner, the Champions League winner, and the coolest man in soccer playing passes across the dusty, patchwork mess of the Yankees infield. Pirlo did his usual Pirlo thing against the Fire on Sunday. He sauntered around the pitch, making difficult passes look easy and easy passes look relaxing (though not even he could improve the quality of the grass at second base). He stood on the front post defending corners with the same level of interest and attention he would devote to waiting for the bus if he ever took one. The pre-match chatter from Fox’s announcers focused on Pirlo, too, and the Fire’s plan to cut the supply line between him and David Villa. As he misplaced a couple of simple passes early on, they were quick to remind us how dangerous he can be once back in rhythm. Given time. Given space. They expected it. The reaction was similar to the one Pirlo received the last time NYCFC had played Chicago, which was the season opener. As the teams were announced before the game that day, Pirlo was referred to by his last name only, like Ronaldinho, or Pele. There was the same buzz when he picked up the ball. Not just expectation, but hope. Even after an aggressively underwhelming first MLS season, America’s Pirlo love-in continues. This is understandable. Pirlo at his best is, after all, one of those rare players who can simplify and expand the game at the same time. He can spot passes no else can see, and he plays them with the sort of effortless grace that detaches you from reality and makes you wonder: why not. A month before his 37th birthday, only two questions remain: can Pirlo still play at this level and, perhaps more importantly, does he want to? 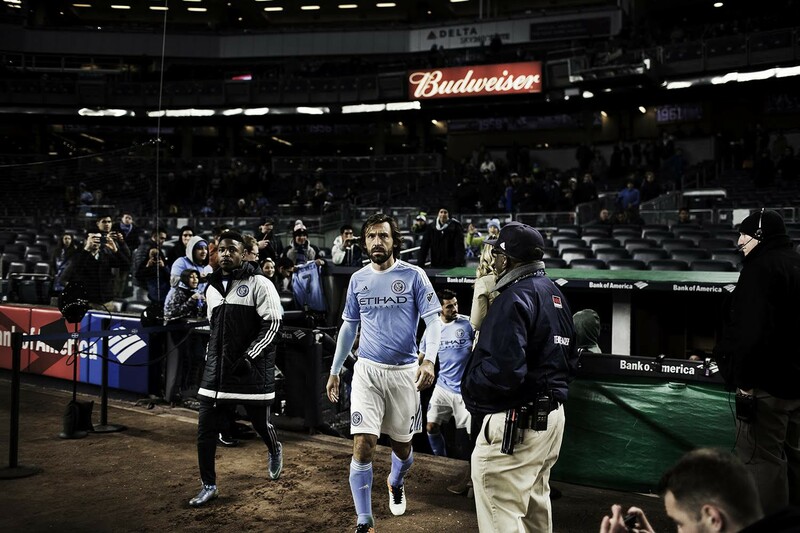 Pirlo at NYFC raises MLS’s profile immensely, but doubts remain about his motivation to play. 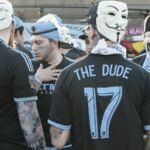 There were some inspired moments, flickers against the Fire — a high, arching corner in the first half that dropped all of a sudden onto Villa’s right foot, a deceptive, looping through ball in the second that fooled the Fire defense into thinking an initially wide trajectory on the pass wouldn’t find Mix Diskerud in space at the top of the box. But they were too rare to translate to any sort of dominance, and just regular enough to make you wonder why there weren’t more of them. The fact is, as a player, Pirlo is horribly suited to MLS, an extremely physically demanding league for all its technical shortcomings. The Italian was never the hardest worker off the ball, but in the last few seasons, really since Euro 2012, he has slacked off even more. This isn’t a problem in the right circumstances, like his final years at Juventus, surrounded by Paul Pogba, Claudio Marhicsio, and Arturo Vidal in the midfield, and backed-up by one of the best defenses in Europe. In New York, things are different. Granted, he did some defending against the Fire. At least, he made a few tackles. But that isn’t much of an achievement at Yankee Stadium, where the size of the field makes it practically impossible to get through the game without making any tackles. Someone will run into you sooner or later. But criticizing Pirlo for failing to provide defensive cover is like criticizing a center back for not scoring enough goals. That’s not what he’s there for. If a manager wants the attacking benefits of playing, he must be surrounded with players who understand his defensive shortcomings and are willing to work hard to make up for them. Five games into the season, it’s unclear if NYCFC coach Patrick Vieira has the players who can fill that role, but he’d still be foolish to give Pirlo any real defensive responsibility. The bigger concern is from MLS’s perspective: what Pirlo looks like on the ball. It should worry the league, which has invested so heavily in him, that Pirlo at his best looks more or less identical to Pirlo at his worst. He ambles around, he keeps the ball moving. He plays the occasional defense-splitting pass, the game ends, and he goes back to the vineyard for a glass of chianti. This is MLS, however, and visible effort is important. Pirlo at his best looks more or less identicial to Pirlo at his worst. Pirlo’s effortless cool is a valuable marketing device, but it places the league in a difficult spot. If he doesn’t play well, he reinforces MLS’s label as a retirement home. If he does play well, then he proves the value of having established stars. But unlike Steven Gerrard and Frank Lampard and David Villa and Kaka and Didier Drogba, it’s not always clear whether Pirlo’s doing one or the other. In fact, in the constantly bubbling cauldron of insecurity that is MLS, he often seems to be doing both at the same time. In the end, Pirlo played only 70 minutes against the Fire. When he was substituted, he strolled off the field at roughly the same speed he’d been moving all match. He put on a coat and hat, and sat looking at the tiny field with an expression so ambivalent that it was tempting to wonder whether he’d been playing at all. And still the camera cut to him, and still the announcers talked. 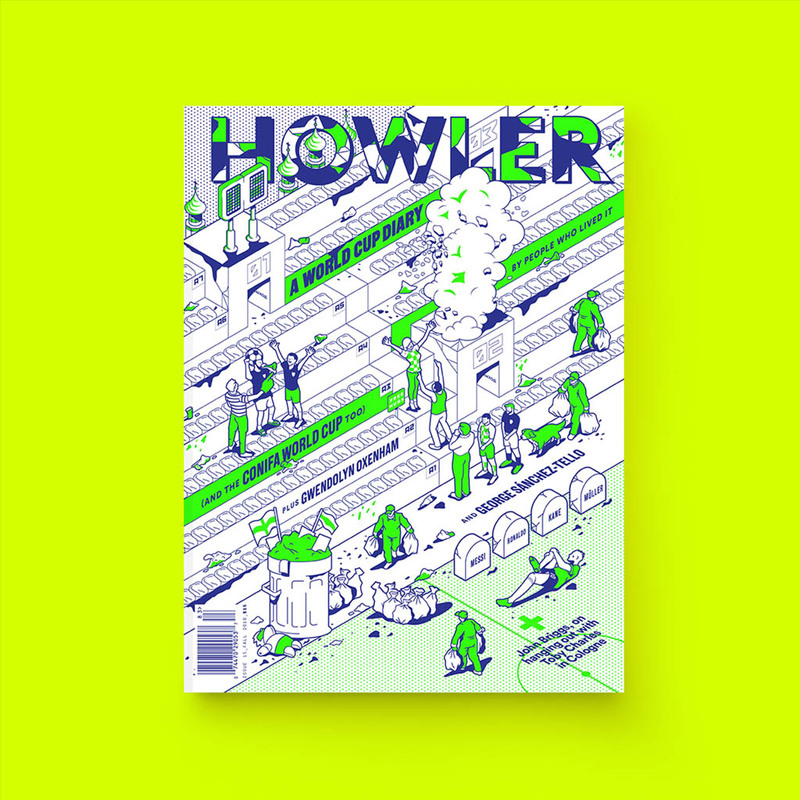 Jake Walerius contributes to Howler and The Sports Quotient. Follow him on Twitter and check out his other work.